Bangkok is known as the ‘City of Angels’. Chao Phraya runs through it like a meandering lifeline, an artificial glow of skyscrapers and moving traffic light up its night sky, and the city acts as a magnet for the weird, the wacky, and the wonderful. It is one of the strangest yet most beautiful cities in South East Asia. But you’d be sadly mistaken if you didn’t think that this city could satisfy your love of luxury and extravagance; Thailand is one of the most decadent countries in the world. You just have to know where to look… In the city of Bangkok, you’ll find something of a contrast. Wander down the Sukhumvit area and you’ll be faced with ping pong shows and a parade of friendly ladyboys looking for some company. But take a stroll by the grand sights of Charoennakorn Road and you’ll find yourself looking up at some of the most incredible 5 star hotel complexes you’ve ever seen (view hotels online). Along Charoennakorn Road, you’ll find the stunning Mandarin Oriental which makes the perfect spa hotel for luxury seekers. 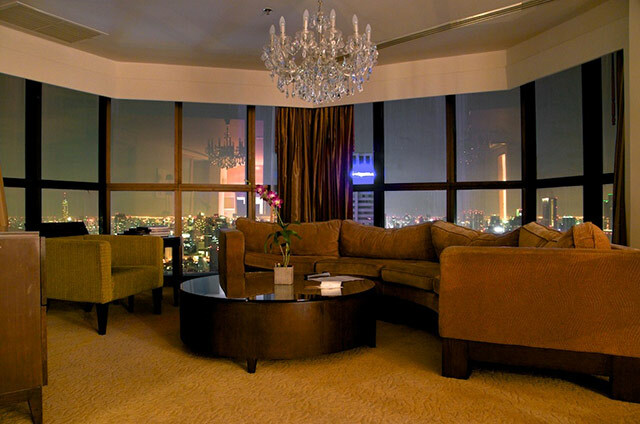 Or you can head for the Millennium Hilton where you can enjoy executive rooftop dining. They also serve the artistic mung bean delight known as Luk Chup. 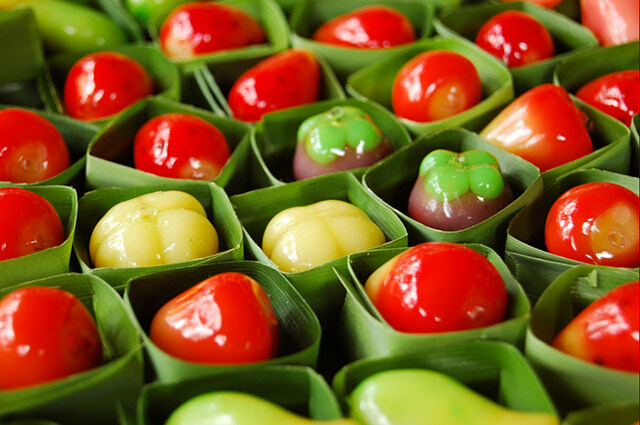 Extremely rare, these beautiful fruit-like bites are painted and glazed like miniature sculptures and are hard to find even in some of the busiest bazaars or food markets. 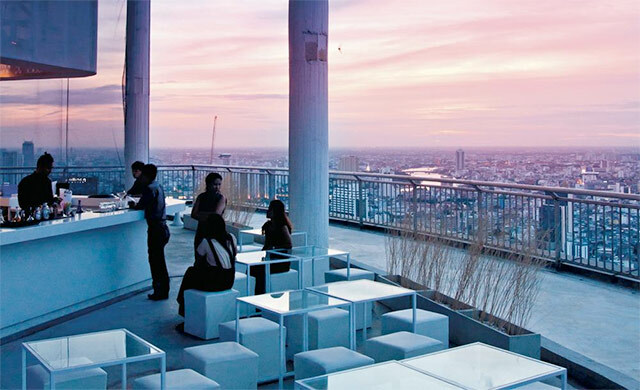 For some seriously swish rooftop dining, my favourite venue has to be Lebua State Tower. Sirocco is the world’s highest open air restaurant and with only a sheet of glass between you and the dizzying heights of the Bangkok skyline, Lebua’s view is simply to die for. Some visitors to Thailand may find the ladyboy culture shocking or even a little terrifying, but as much as the red light district can be scary to some tourists, it’s important to remember that the Thai people are very friendly and no-one will try and make you feel uncomfortable. If Sukhumvit Road isn’t your scene and you want something a little bit more exclusive, you can find some of the best VIP drinking haunts on the rooftops of the city. Rooftop bars such as Vertigo & Moon Bar on the 61st floor or the futuristically decorated Cloud 47 Bar are popular hangouts for the rich and famous. If you’re looking for a delicious cocktail menu, try 87 Plus Bar at Hotel Conrad, Koi Bar or the cool art bar known as Dali.